Java SE Development Kit is an extensive collection of tools designed for developing Java based software and applications. JDK offers full support for command line and has a Java code editor, providing developers a powerful environment to create and test their applications. The OpenJDK Community offers the public access to a large collection of projects with the common goal of experimenting and evolving the JDK platform. However some parts of the community are available only to members of this JDK project who have the Researcher project role and agreed to the Java Research License (JRL) terms. Source snapshots of JDK7 and JDK 6 under the JRL license are available through subversion repository, accessible only with JDK Researcher or JDK Contributor role for JDK project. - Development Tools located in the bin/subdirectory for developing, executing, debugging and documenting programs. - Java Runtime Environment located in the jre/subdirectory, containing a Java Virtual Machine, class libraries and other files that enable the execution of Java based programs. - Additional class libraries and support files located in the lib/subdirectory. - Demo Applets and Applications located in the demo/subdirectory, containing Java platform programming examples with source code. 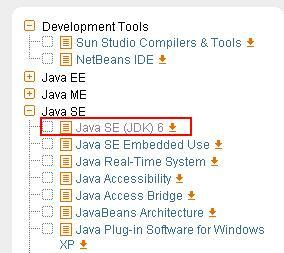 - Sample Code (in the sample subdirectory) – programming samples for a number of Java API’s. - C Header Files (in the include/subdirectory) that supports native-code programming through Java Native Interface, JVM Tool Interface and other Java platform functionalities. - Source Code (inside src.zip) containing source files for all classes contained by the Java core API (source files for the java. *, javax. * and certain org. * packages, but not for com.sun. * packages).